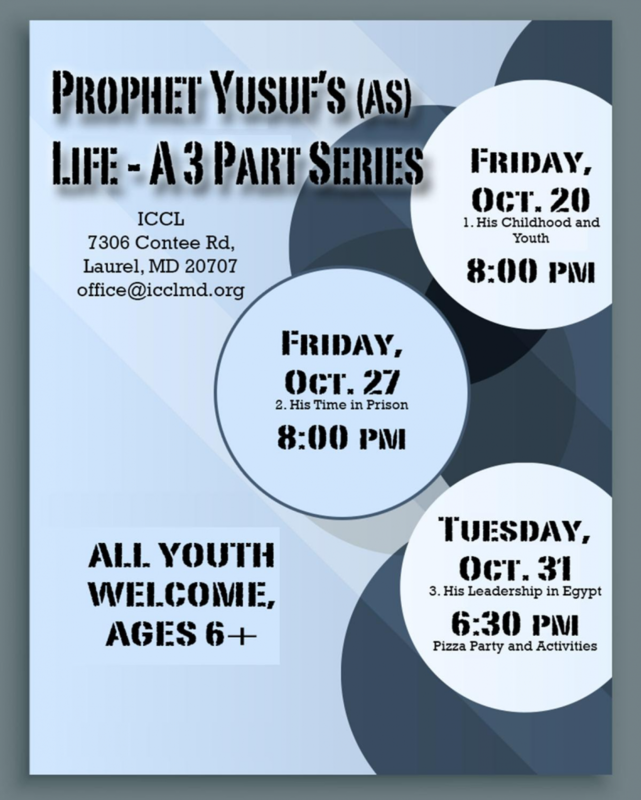 ICCL is hosting a special youth program on the life and times of PROPHET YUSUF (AS)!! There will be a pizza party in conclusion of the series on Tuesday, October 31st, inshaAllah!! All youth ages 6 and up are welcome and encouraged to attend!! Please contact the ICCL Office at office@icclmd.org with any questions.